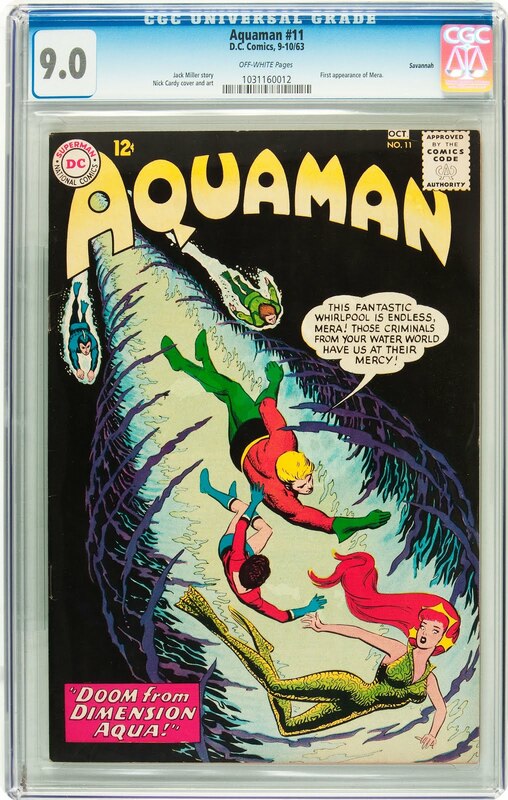 There are a lot of key issue notations for Aquaman #11 but right now, the biggest is the first appearance of Mera. The character was recently cast for the new Aquaman movie starring Jason Momoa as the titular character. Who is going to play along side him as his wife? Amber Heard is who. With a release date of July 27, 2018 it's going to be a while before we get to see them in action together. As far as the other key notations, there's no word yet on whether or not Mera's home world, Dimension Aqua, will be in the movie. If it is then there is a small chance that Leron could also show up. 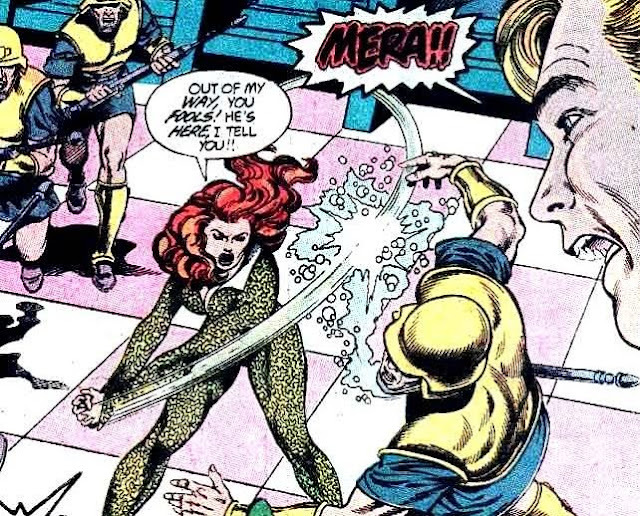 Leron was a revolutionary that led a revolt against Mera and she was exiled to Earth where she met Aquaman. There really isn't anything to say about the character Xebel, but according to the DC wiki, it is his first appearance so I did make a note of it above. Looking around it's hard to find any graded copies online. There were only a few that I found so far, but looking through the CGC census, there aren't that many graded copies floating around out there. Suprisingly, there have only been 54 copies graded by them so far, and I know that there is a least one that was graded by CBCS because it was mine. I expect those numbers to change soon, and fast, with the news of Mera being cast. Taking a look at the charts from GoCollect.com, there aren't a whole lot of graded sales. However, it isn't an easy comic to find that's already graded and that may be the reason for the low number of sales. There are a few raw, or ungraded, copies out there though. So if you're looking to get a copy of Aquaman #11, buying raw and sending it in to CGC or CBCS might be the way to go or you could wait for a graded copy to show up online.